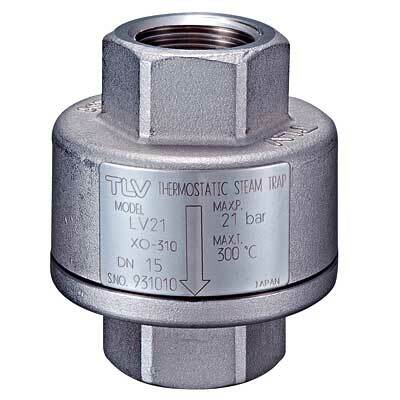 These steam traps operate via the temperature difference between steam and condensate. 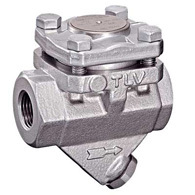 All L, LV, and FL series models employ a thermoliquid-filled X-element, which acts as the valve. The X-element discharges hot air as well as low-temperature air and cold condensate. This encourages the inflow of steam, thereby reducing start-up times. The valve remains open even in the event of a failure due to the 'fail open' construction of the X-element, which means that the equipment can continue operating (though steam loss will occur). 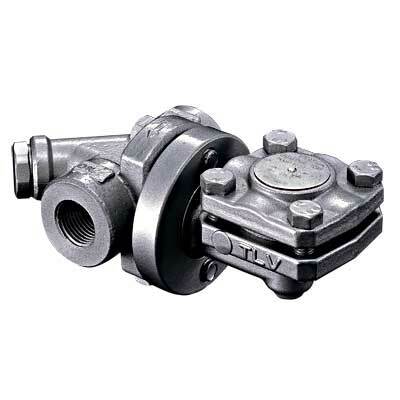 Any rust or scale entering the trap from the piping is discharged together with the condensate through the large valve opening, greatly reducing the chance of a build-up of rust or scale that could obstruct the valve opening. Suitable for use in a variety of applications. Air conditioning, steam tracers, steam heating equipment, etc.